LA Kings defenseman Drew Doughty, shown here speaking to the media on September 30, 2011, at the Toyota Sports Center in El Segundo, California, after signing an eight-year contract. LOS ANGELES — After a very productive 2011 off-season, highlighted by the acquisition of center Mike Richards from the Philadelphia Flyers in a blockbuster deal on June 23, 2011, sending right wing Wayne Simmonds, center Brayden Schenn, and a second round pick in the 2012 National Hockey League Entry Draft the other way (the Flyers traded the pick to the Dallas Stars), the Los Angeles Kings seemed to be set up to finally become a contender, not only for the top spot in the Pacific Division, but also for first place in the Western Conference. But there was one big problem hanging over their heads from the end of the 2010-11 season…defenseman Drew Doughty was not yet signed to a new contract, and with him looking for a huge payday, the two sides were far, far apart on reaching an agreement. As most feared, neither side budged during the summer, and Doughty became a contract holdout. An agreement was not reached until September 30, 2011, when Doughty made his first appearance on practice ice—he missed virtually all of the Kings’ training camp. Doughty returned the day before the team was to play in Las Vegas in their annual Frozen Fury pre-season game. He did not dress for the game, but saw game action during exhibition games in Europe, and was in the lineup when the Kings opened the season on October 7, 2011, against the New York Rangers in Sweden. But having missed all but a day or two of training camp came back to haunt Doughty, who followed in the footsteps of just about every NHL player who has sat out training camp. Conditioning and timing issues were apparent, and would play a significant role in his sub-par 2011-12 numbers, and was most apparent during the first half of the season. But Doughty was not alone, as the entire team would struggle to score goals after a pretty good start to the season that saw them average 2.47 goals per game through November 17, 2011, earning them a 10-6-3 record over the first 19 games of the season. But even with that start, there were clear signs of trouble already brewing. Despite the fact that their offense was not sputtering overall, it was highly inconsistent. In fact, in 13 of those 19 games, the Kings scored two goals or less. The result: the Kings won just three of those games. In fact, all nine losses during that 19-game stretch (including three overtime/shootout losses) came when they failed to score more than two goals. As seen during the last two months of the season, and throughout their post-season run to the Stanley Cup, the Kings moved the puck much quicker than they did earlier in the season, with vastly improved puck support (narrow gaps between forwards and defensemen, allowing short, quick passes) on their breakout plays. Interestingly enough, they knew about that solution to their problems all along. The combination of the quicker puck movement, and better puck support on breakouts allowed the Kings to get in on the forecheck—their relentless, aggressive forecheck was a huge factor in their success during the last two months of the regular season, and especially during the playoffs, when it was an absolutely lethal weapon. But the Kings were unable to get any consistency in their game, often reverting back to their poor puck support on breakouts, preventing them from establishing a forecheck. That contributed mightily to a ten-game stretch from November 19 through December 10, when they took a 3-6-1 nose dive, due, in large part, to the fact that they averaged just 1.70 goals per game during that stretch. In fact, in nine of those ten games, the Kings failed to score more than two goals, scoring just once in four of those games. A big reason is that as their offensive woes worsened, they lost confidence and began trying to pass the puck into the net, so to speak, always trying to make the extra pass. The most blatant example of that came on November 25, in a 2-1 loss to the Chicago Blackhawks at Staples Center. In that game, the Kings had a four-on-two break, and wound up not even getting a shot on goal. After 29 games, and with their offensive game in a deep freeze, the Kings had a mediocre 13-12-4 record, which was not even close to the getting the job done, not for a team that was expected to be a contender for the division and conference titles. During this time, it was obvious that the frustration had gotten to many of the players, and it was showing up in their day-to-day intensity. With a team that should have been among the top teams in the Western Conference much closer to the bottom of the standings than the top, Murray was fired on December 12. But President/General Manager Dean Lombardi, in no uncertain terms, pointed his finger at the players. With the high expectations, the results after 29 games were not acceptable, not at all, and Murray paid for it. Assistant Coach John Stevens was named interim head coach for four games before Darryl Sutter took over after being named as the new head coach on December 20, inheriting a team that had lost its way, despite having the talent to compete with any team in the league. Indeed, Sutter was charged with figuring out what was wrong, and fixing it in time for the Kings to earn an invitation to the post-season party. After witnessing the Kings meteoric rise late in the regular season and throughout the playoffs, we all know he was successful. But how did he do it? 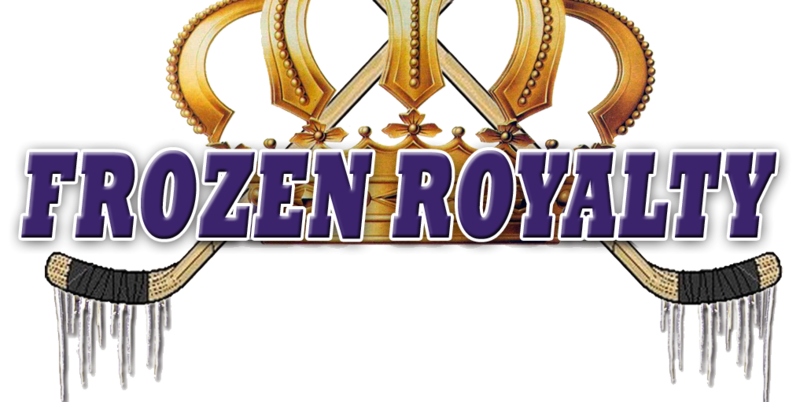 In the next installment in this season, Frozen Royalty will look at the impact Sutter had, not to mention a couple of key roster moves, all of which combined to create the perfect storm, one that would wreak havoc on their opponents, to say the least.